Hatchimals are this year's hot Christmas toy, but for many frustrated parents, landing the coveted gift is an exercise in futility. Because Target and Toys "R" Us have extremely limited quantities of the toys, eBay sellers are scooping up the toy and reselling at 2 to 3 times the retail value. While the typical retail price for a Hatchimal is between $60 and $70, auctions on eBay are going for more than $150. For instance, one Illinois seller sold one such Hatchimals toy at auction for $164.50 on Thursday. 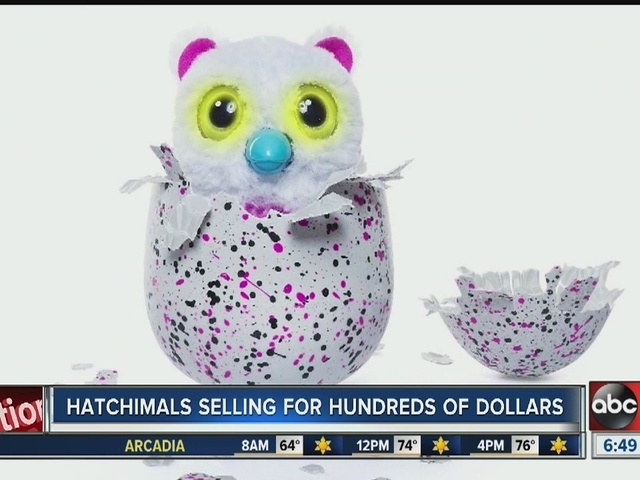 Moments later, another Hatchimals toy went at auction for $173 . But for those hoping to get the toy at a reasonable price, you might be in luck. 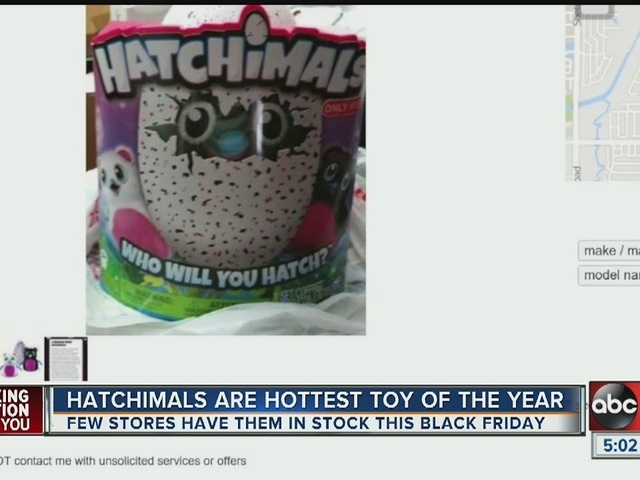 According to a Toys "R" Us spokesperson, stores will be stocked with a shipment of Hatchimals Sunday morning. Toys "R" Us listed the price at $69.99. "We expect that when stores open at 8 a.m., they will sell very quickly," a Toys "R" Us spokesperson said. Toys "R" Us in Brandon says they anticipate customers to start lining up at their store. They open at 8 a.m. on Sunday. Find a Toys "R" Us near you. What are Hatchimals? It starts as an egg that needs to be nurtured. Once the egg hatches, kids can teach Hatchimals how to talk, walk and dance. You can also unlock games on Hatchimals. Because of the limited availability of Hatchimals, a number of buy and sell groups have been created on Facebook for consumers.